3rd OFF DISCOUNT with promo code: micron33 at the basket page - act soon! valid on orders over $874. Automatic discounts still valid! If you have any specific technical requirements or preferences please contact Micron Training and we will be happy to discuss your needs to provide the most appropriate platform. Our default product format is a multi-region DVD with accompanying CD-ROM. The DVD will play in a standard DVD player or Laptop/PC with DVD-ROM drive and appropriate DVD playback software drivers. The DVD is supplied in either NTSC or PAL/SECAM format depending on the country of destination but customers are welcome to contact Micron Training to request a preference. The CD-ROM contains the documentation file (PDF) and assessment and is designed for use on a Windows Laptop/PC. The basic DVD product is not licensed for use on a computer network. This format is similar to the basic DVD but also includes an optimized digital video file (WMV or MPG4) which is accessible on the DVD-ROM for use on a computer network. The accompanying license permits simultaneous network viewing at the named facility. 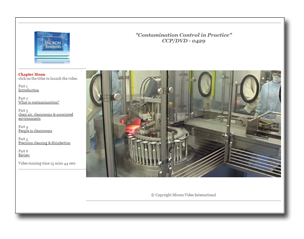 Supplied on DVD-ROM and individually packaged for AICC, SCORM and browser-based eLearning standards you can integrate the program into your existing training system or simply run it in your favorite Web browser. 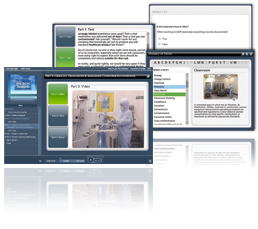 As well as the interactive training content each program has a separate eLearning assessment to provide training certification. The assessment can be edited by users of Articulate Quizmaker '09 software. The accompanying license permits simultaneous network viewing at the named facility. Minimum Requirements: Flash Player 6.0.79 or later and one of the following browsers: Windows: Internet Explorer 6 and later, Firefox 1.x and later, Safari 3 and later, Google Chrome, Opera 9.5 and later Mac: Safari 3 and later, Firefox 1.x and later, Google Chrome Linux: Firefox 1.x and later AICC, SCORM 1.2 or SCORM 2004 compatible Learning Management System if desired. Opt in: To join our mailing list, tick this box and click signup.